Well, this was a find! 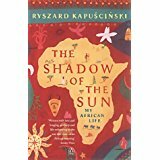 I had heard of it before, long ago, and it’s definitely worth a read, if you’re into slightly crazy travel and exploration. Kamchatka is a vast and incredibly isolated, actively volcanic peninsula. My edition of the Road Atlas of the Soviet Union shows hardly any roads a century after Kennan and co visited. The Siberia through which they planned to lay the cable does not even figure in the atlas… Nobody seems to refer to any maps – and it’s a great shame that the publishers didn’t include one in this edition because trying to follow Kennan’s adventures on a modern atlas verges on the impossible. Kennan is in his early twenties, full of energy; nothing throws him. He’s a very well-educated young man who refers frequently to literature and the classics as he describes their journey, and he’s also awed by the beauty of the Kamchatka peninsula, which he describes very well, lyrically even; in spite of various incredible hardships and dangers, he remains tuned in to nature and landscape, revelling in the many appearances of the Northern Lights, and the amazingly short-lived flourishing of the Siberian spring and summer (about two months in all…). He’s also a very humorous writer, in the Mark Twain vein, for those who are familiar with any of that man’s travelogues – although Twain has a much easier time than Kennan. He’s marvellous on Westerners’ attempts to wrestle with the Russian language and its alphabet. The easy humour and optimism of youth shines through his encounters and conversations, his relationships with his fellow Americans and his response to a foreign land. The group gain some knowledge of the terrain and make preparations for laying some telegraph wires, only to be told, as they are relieved from the horrors of another Siberian winter by the arrival of an American supply ship, that a recent attempt at re-laying the transatlantic cable has been successful, so they are to sell off what they can, pack up and return home. Which Kennan does, without a grumble. Male travellers and explorers are often out to prove something, particularly more recent ones, and I often find this tiresome: I’m expecting to read about places and peoples, not egos. If a writer is going somewhere because it’s there, out of curiosity, then I warm to them, as I did to the Swiss traveller Ella Maillart when I was first introduced to her writing some twenty years ago. Although she began writing in French, she soon switched to English; nevertheless it’s the French and the Swiss who have kept pretty much all her writing in print. She travelled quite widely in the early days of the Soviet Union, blagging her way to various places where foreigners weren’t wanted and onto expeditions that got her to those places; she travelled very widely in the Middle East and central Asia, and from China to India through forbidden territory during the Chinese civil war and Japanese invasion of that country… and ended up in India reflecting and meditating on the meaning and purpose of her existence. 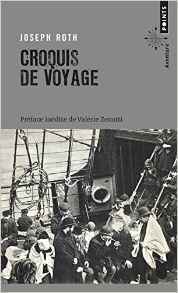 Maillart was an intrepid woman moved by curiosity about and real empathy with those among whom she lived for months, sharing their lives and dangers, and travelling at a time when places weren’t easily accessible, and instant communication was not available. This is a lovely book, by a true traveller who clearly lived in Damascus for a serious length of time and fell in love with the place. 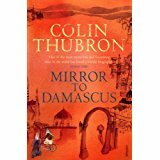 I’d never heard of it before, found it in a secondhand bookshop in the summer and felt I wanted to read something about this country that has been tearing itself apart for the last few years… it seems to have been Thubron’s first book, published in 1967. It has beautifully-drawn maps which are nevertheless not quite as informative as they look, and quite a lot of blurry black and white photographs. I’m not aware that Damascus has been quite so comprehensively wrecked as Aleppo or Homs in the current conflict, but have found myself wondering how much of this lovely place that he visited fifty years ago still exists. The chapter on the French Damascus reminds one just how much responsibility the West bears for the unspeakable horrors that are going on in Syria and other Middle Eastern lands, and underlines for me that it would be far better if we just left other nations to sort out their own internal affairs. Thubron’s book manages to capture some of the relative peace and innocence of earlier days, and I really enjoyed it. Joseph Roth wrote two of my favourite novels, The Emperor’s Tomb and The Radetzky March, to which I shall be returning shortly, prompted by my reading of this collection of travel pieces. I find the nineteen-twenties fascinating, as a world trying to recover from the trauma of the Great War, and unaware of the morass it is slowly sinking into. 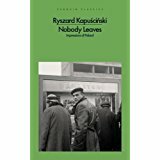 As a traveller and journalist – nearly all of the pieces in this collection were written for various German newspapers and magazines – he is very observant, missing nothing, and also unintrusive: I have the feeling of being with a very intelligent observer and recorder who does not seek to over-interpret. There is a wide range of pieces in the book; perhaps the most powerful for me was his visit to the Somme region in 1926, so only eight years after the end of the war, and his descriptions of how towns are still struggling to recover their previous ‘normality’ are quite shocking, in a low-key way. I also liked his descriptions of Deauville, and Provence, both places I’m familiar with. Italy is already Mussolini’s fascist state in embryo and quite scary when he visits; there is no hint of the horrors to come in Germany, however. I’ve written before about how accounts written at a particular time are capable of being illuminating in ways totally different from history books, and this is a very good example; I fear, however, that it’s too much to hope that this collection will appear in an English translation. This is a fascinating, and well-written account of a road trip around the USA in the 1960s. A helpful map helps non-natives work out roughly the route taken, as well as putting the size of the country in perspective.